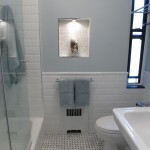 The client requested a modern but yet classic retro feel of the 1940′s. 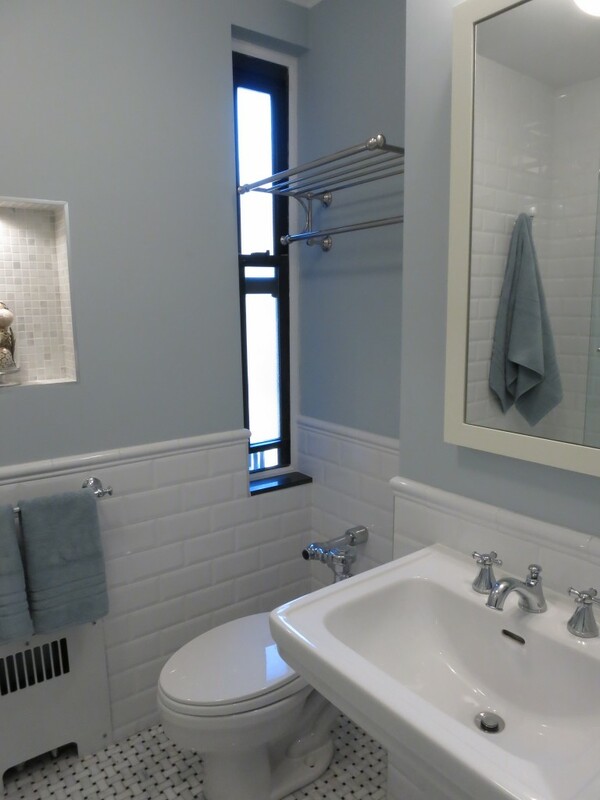 This retro bathroom that has it all. 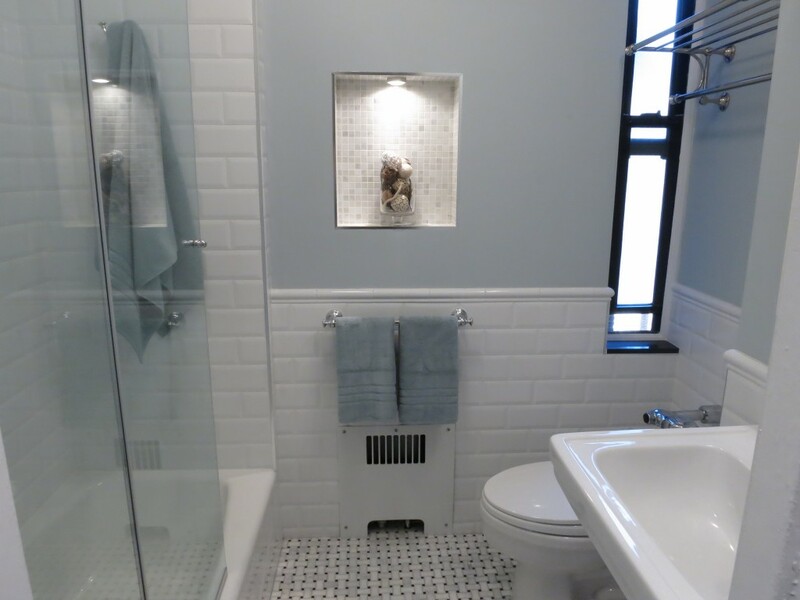 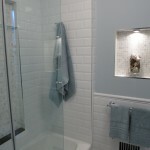 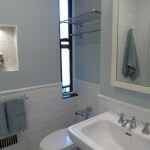 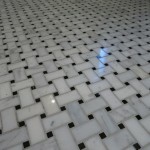 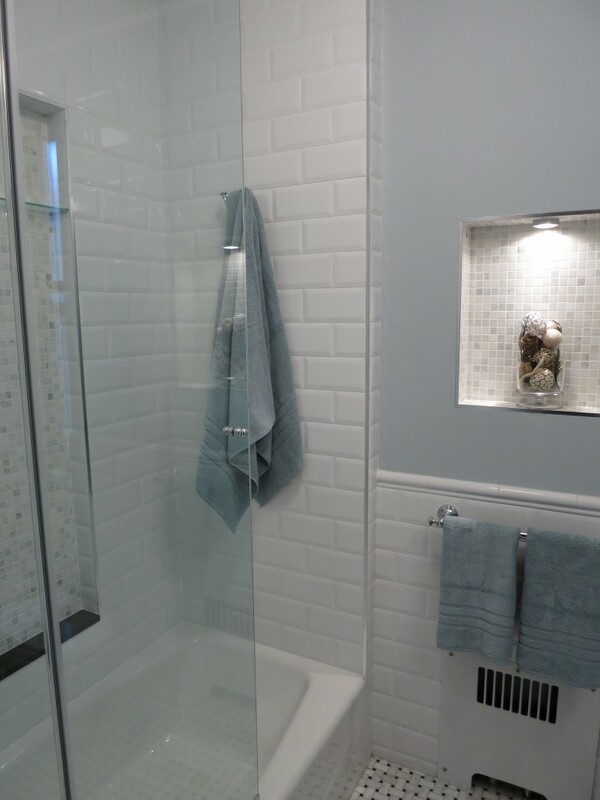 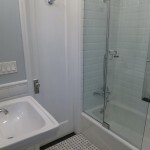 The classic subway tiles tie in nicely with the pedestal sink and marble basket weave floor. 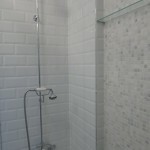 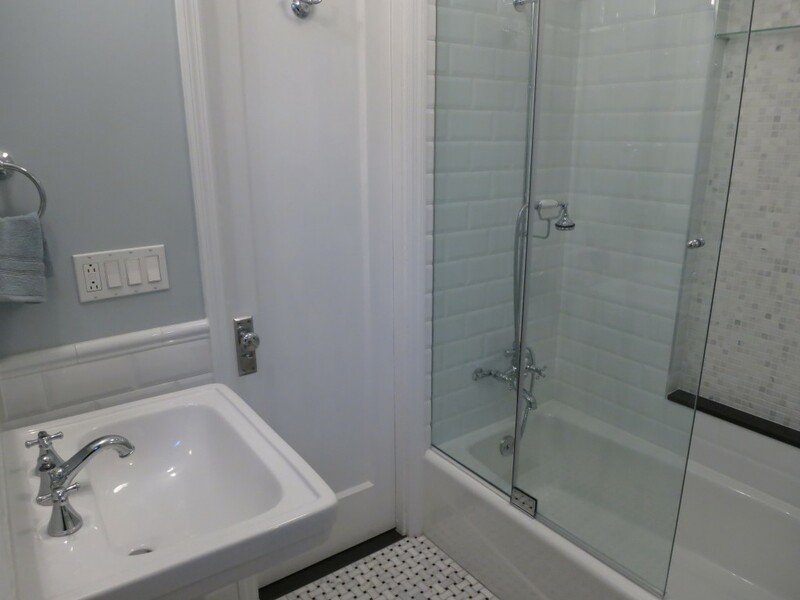 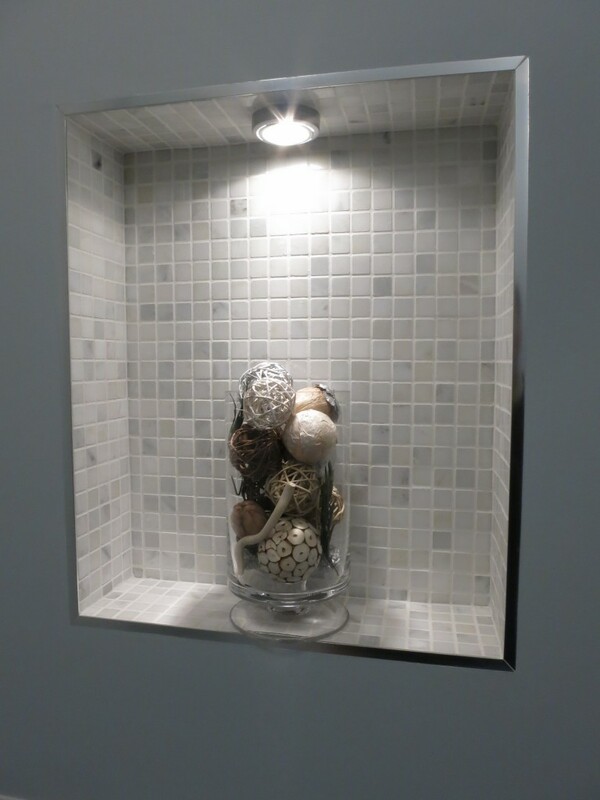 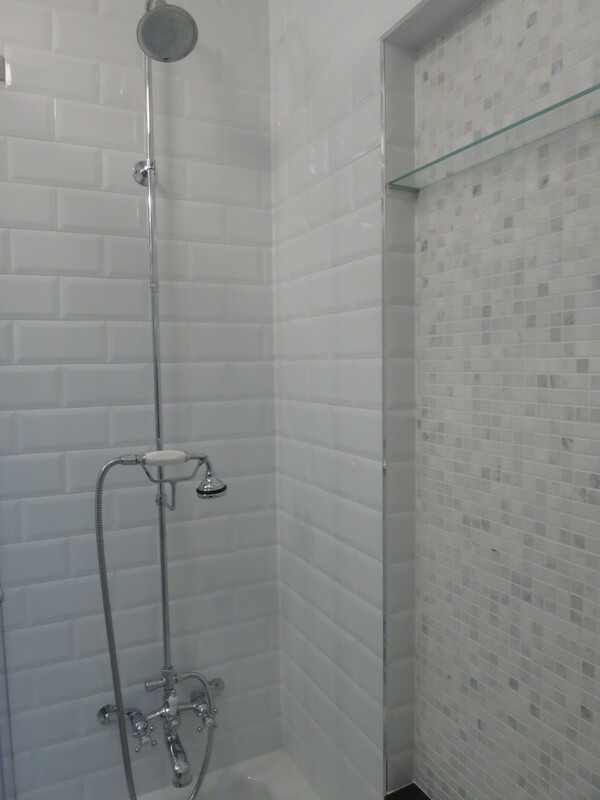 The frameless hotel style shower door really modernizes the space. 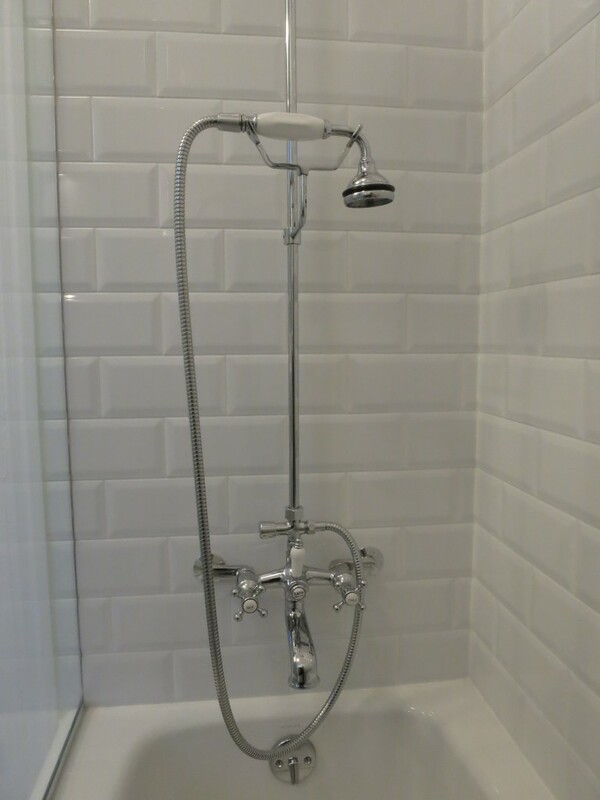 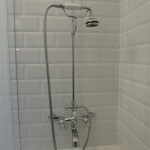 Another really nice touch to this design is the exposed shower faucet and the classic telephone hand held made with white porcelain trims. 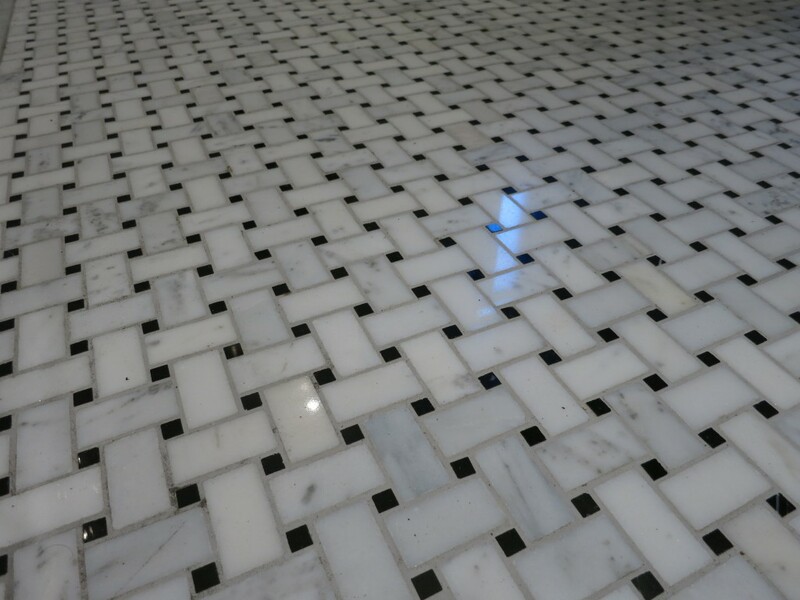 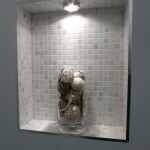 The niches created with white carrera marble mosaics also gives the room depth and dimension, making the space seem larger than it really is.